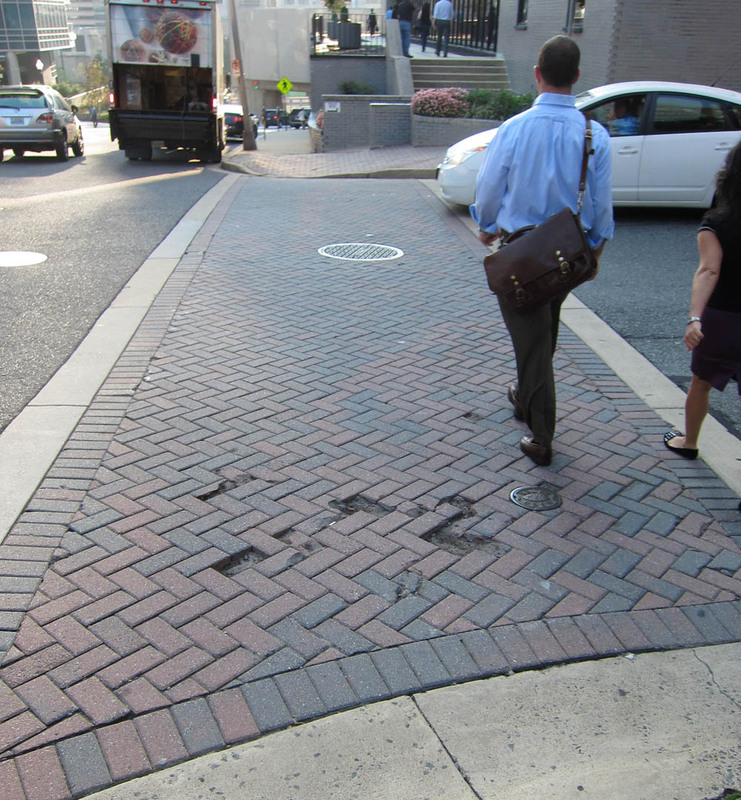 Downtown Rosslyn features much elegant brickwork on sidewalks and street crossing. However, after the recent fierce primary contest for our Virginia senator seat, several bricks are missing from the crosswalk at Key Blvd. & N. Oak St. I've reported the problem on Arlington County's handy High Density Pedestrian Concrete Maintenance Report Form.